Does Dermagist Acne Scar Fading Cream work on acne prone skin? Read this review to know the ingredients and results customers get. Acne scars are one of the most common scar types people experience. Dermagist Acne Scar Fading Cream is a cream that is made specifically to remove acne scars. If you have acne prone skin, then this cream is a good consideration. But if you have other types of scars, then take a look at our review of various scar creams to find one for you. But one customer said that she did not see any effect on her scars after using the cream for one month. She even reported that her acne got worse after using the product. You can use Dermagist if you are looking to treat acne scars. But if you have other types of scars, then Dermefface is a better choice than Dermagist. 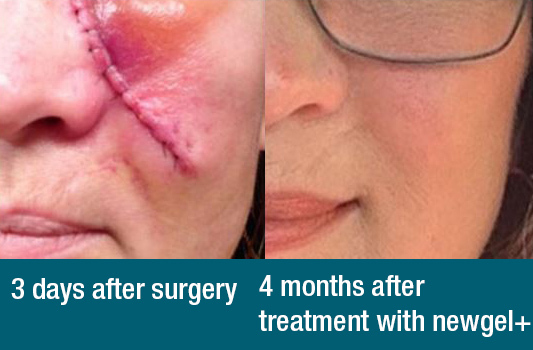 Dermefface is proven to treat an accident scar on one of their celebrity endorsers. Dermefface uses more ingredients than Dermagist. If you’re looking for a scar cream that uses little ingredients (to avoid the possibility of side effects), then Dermagist is a good choice (silicone scar treatments are also a good choice). Both of them use Acai Berry to reduce the appearance of scars. Both Dermagist and Dermefface are more expensive than other brands we review. We don’t give a high rating for either brand and they don’t make it into our top 10 best brands. You can take a look at our Dermefface review for comparison, but we recommend that you look at our top 10 scar creams. This product has a store credit guarantee. If you don’t get any results within a certain period, then you can return the product to the company and get store credit (not money). You can buy this cream from the official website, or from online stores that have them in stock. Considering that this cream is more expensive than others reviewed on this website, how about you take a look at the other options before buying Dermagist Acne Scar Cream. Selevax Scar Cream Review – Shrink Scars in One Week? Scarology Review – 50% Less Scarring in One Week?